Last September, scientists at London’s Francis Crick Institute asked the U.K’s Human Fertilisation and Embryology Authority (HEFA) for permission to perform gene editing work on human embryos. Their request has now been granted, potentially paving the way for other similar work. Human germline editing is deemed controversial because any baby born through the technique has the potential to pass those genetically modified traits down to the next generation. Advocates of the practice say it could eliminate a host of genetic diseases, while at the same time introducing the possibility of human enhancement. “The work carried out at the Crick will be for research purposes and will look at the first seven days of a fertilized egg’s development (from a single cell to around 250 cells),” noted the lab in a statement. “The knowledge acquired from the research will be important for understanding how a healthy human embryo develops.” Geneticist Kathy Niakan will be overseeing the work. This line of research is poised to improve our understanding of embryonic development during in vitro fertilization, and could result in better clinical treatments using conventional methods. At the same time, the work will give scientists an opportunity to refine their CRISPR techniques when working with human embryos. CRISPR is a powerful cut-and-paste tool that enables scientists to modify or replace genetic defects, or introduce new characteristics altogether. Britain is establishing itself as a world leader in the field. 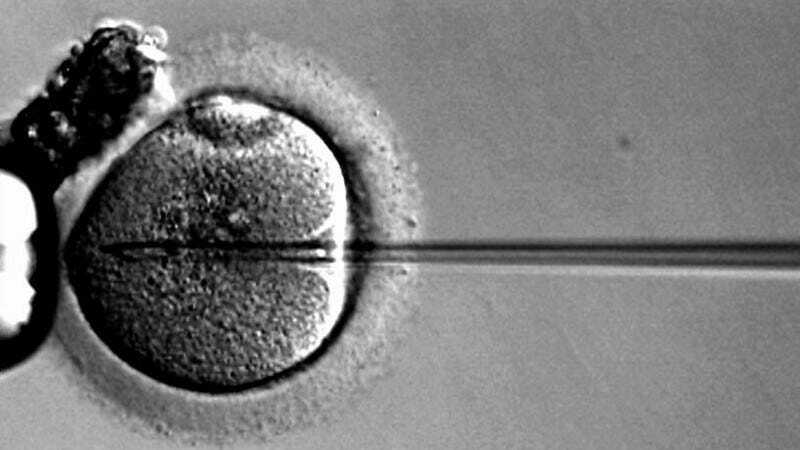 Back in 2014, it became the first country to legalize a controversial three-parent reproductive technique.